How much do you pay your barber? Have you ever wondered what’s the average price for men’s haircut in the United States? We have collected the prices, provided by over 3000 men from over 170 US cities. And the results are shown in the infographic below. These prices do not include tips, which are usually from 20 to 30 % of the price. If you want some non-standard haircut, keep in mind, that the price may be significantly different. Some additional services, like beard trimming, shaving, color camo, etc. will cost you an extra $5 to $35 on average. 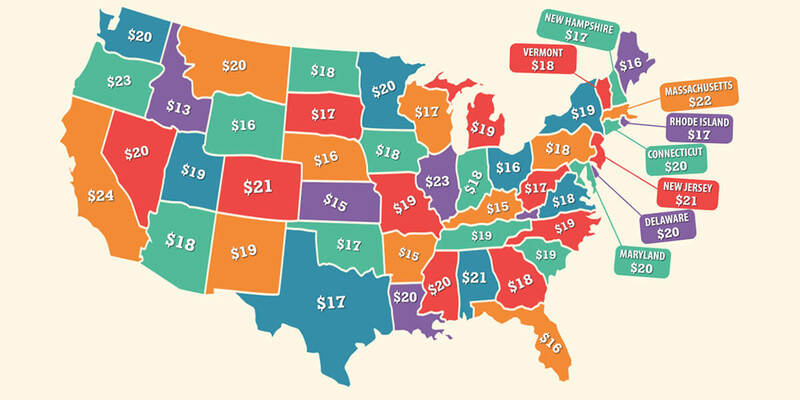 To make the numbers more reliable, we have excluded the prices from major metropolitan cities, because oftentimes the price may be twice as higher than the average one through the state. For example, the average haircut price in Florida is $16, but the average price in Miami, FL is $30. <a href=”https://www.mistershaver.com/average-cost-men-haircut-infographic/”><img src=”https://www.mistershaver.com/wp-content/uploads/haircut-price-infographic-mistershaver.com_-1.png” alt=”Average Cost for Men Haircut in The United States” title=”Average Cost for Men Haircut in The United States – Infographic” width=”840″ height=”2409″ /></a><br /><small>Like this infographic? Get more shaving tips from <a href=”https://www.mistershaver.com/”>Mister Shaver</a>. So how much do You pay your barber? Tell us in the comments below. If you like this infographic, please share it. San Francisco is top on the list – Is it because of tech guys with loaded wallets in the area. Going for a haircut in the saloon is more interesting than shaving your self at home – you can have a one-on-one conversation with the barber…so spending $20 – $40 for a clean shave is worth it. WHAT DO YOU THINK?